over the past years in the field of the nuclear industry. SDD’s current flagship products and services are mainly comprised of Design & Manufacture of Control Valves, Design & Manufacture of Test Facilities, and Engineering Services for Nuclear Power Plants and Facilities. The company’s flagship control valve is equipped with state-of-the-art Helical Trim® for optimal control of high differential pressure services. While realizing optimization of structural design of valve trims and actuators, this control valve shows improved life performance of control valve for severe services. Designed using its independent technology, all of its flagship valves significantly help the operators enjoy price competitiveness through the reduction of manufacturing costs. SDD is contributing to green growth of the global community realizing continuous cost and energy reduction and localization in many overseas areas of control valves. SDD plans to continue striving to design and manufacture the world’s best control valve through its continuous technology development. 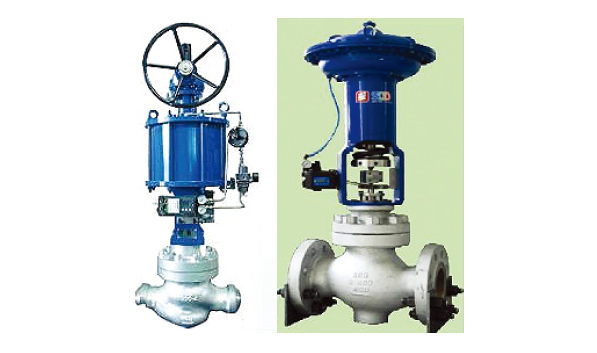 The U.S.A, Canada, China, and India are current flagship overseas markets for its state-of-theart valves.